Update: Carnegie's will close at the end of January 2011. 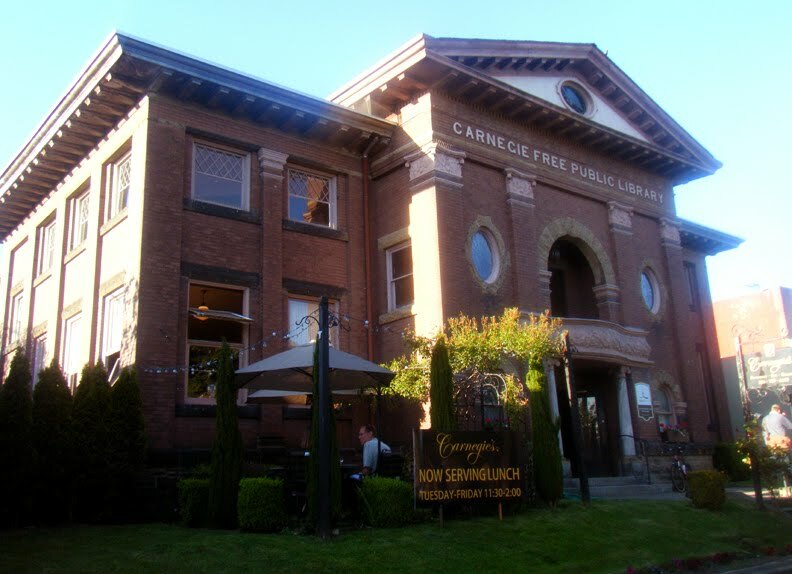 Carnegie's is set in a great old Carnegie library that opened to the public in 1904 and was the first major branch of the Seattle Public Library system. It served as a library until 1963, and after various subsequent occupants, its current incarnation as a French restaurant commenced in 2003. Carnegie's has a completely prix fixe menu, with a $12 lunch course, and a choice between a $35 course and $45 course for dinner. The menu sounds fairly enticing, and I do plan to come back for lunch, but their bar -- beyond their wine -- is uninteresting and virtually nonexistent.